Touchscreen digital interactive for 'Mann at War' gallery - Gooii: Award Winning Website Design & App Development Nottingham. iPhone, iPad & Android Apps. Virtual Reality & Augmented Reality. A major new warfare exhibition entitled ‘Mann at War’ has opened at the Manx Museum in Douglas to mark the 100th anniversary of the end of World War One. 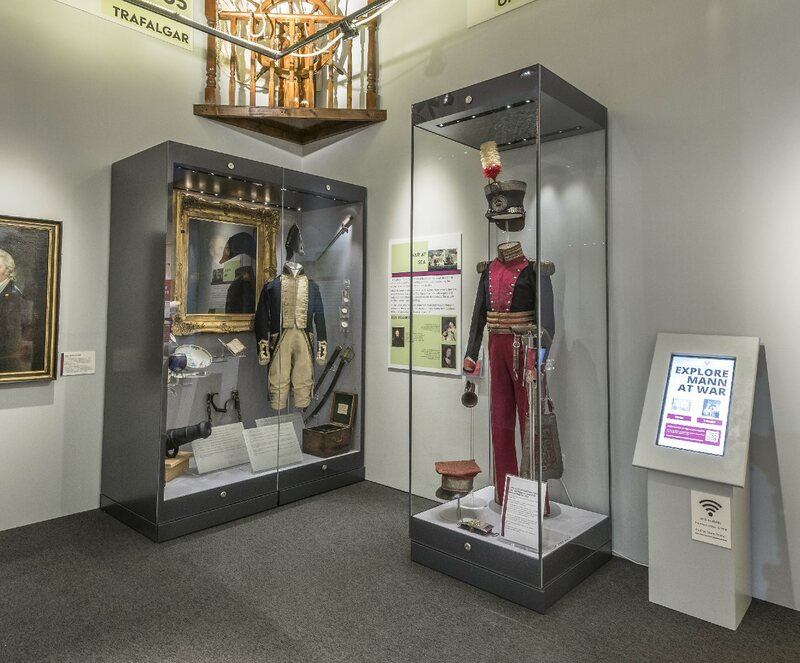 The exhibition showcases hundreds of important items including the oldest Napoleonic light cavalry uniform in the British Isles. Partnering with Knowledge Integration (KI), we worked closely with Manx National Heritage to develop and launch the system, with KI’s CIIM middleware producing Elasticsearch data for the UI kiosk displays.